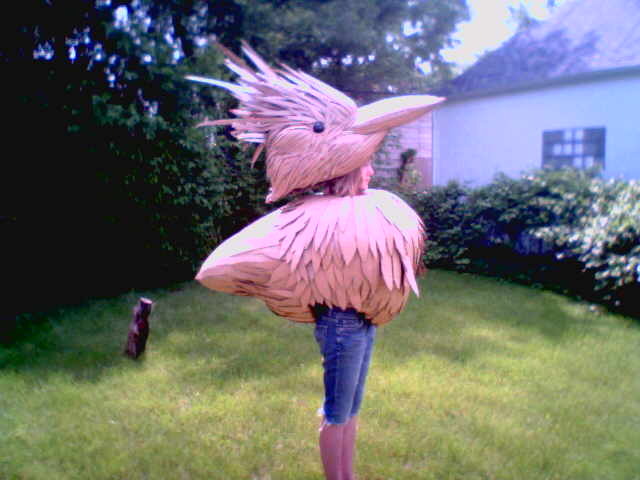 Local artist Emily Gustafson has been working on a cardboard bird project this summer. Aren’t these just fantastic? The birds have been popping up around town, including the Woodward Green Cruise this month and were even spotted at a Serenity Court show earlier in the summer. Check out the Serenity Court MySpace for more photos of the birds and sampling of Em’s songwriting (the band also includes our Carey, you know, the David Bowie nighlight lady). A seriously talented family those Gustafsons. Emily will be showing her work at the next Sunday Crafternoon, Sept 2 at the WAB. More info on that here. Wow, this is great stuff. I blogroll’d you guys just for the great site! 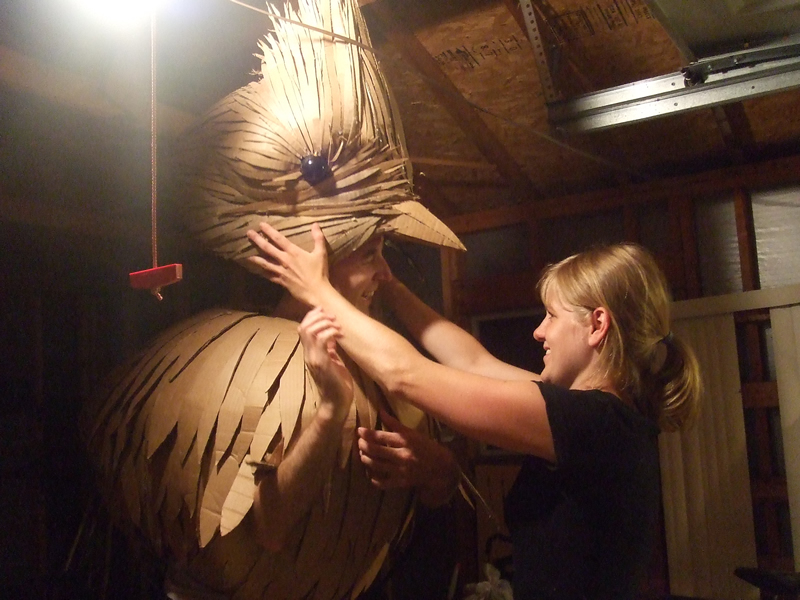 My friends and I want to make a bird costume. Our ideas seem to be in line with yours, what base structure did you use? I have a theatre company in fl. We are doing a show in feb.One of the pieces in the show invloves a huge bird and a little girl. It’s very imaginative and sweet. Your costume evokes the smae emotion the writing does.How can I buy one from you? Hi, My daughter (6 years old) needs to have a mockingbird costume for school. Could you please send me step-by-step instructions on how to make one? Or at least what the structure underneath looks like? Awesome!!!!!!!!! how to make this? Hi! I would love to make this bird for my daughter. Can u please send me a step by step instruction? Thanks! P.s. I’m willing to pay if needed.